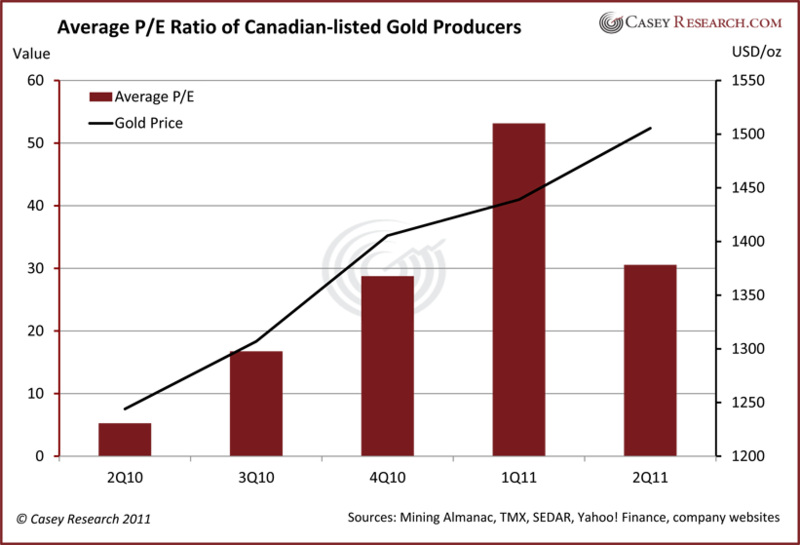 Goldbggr: Why Gold Stocks Are So Cheap Right Now! For months now gold stocks have lagged the market. There are a number of reasons for this. While the reason's matter for investors the reason I want to know is so that I can invest effectively. The article excerpt below outlines the reality of this present moment in the markets. Despite the pullback this fall, gold has been performing well this year. 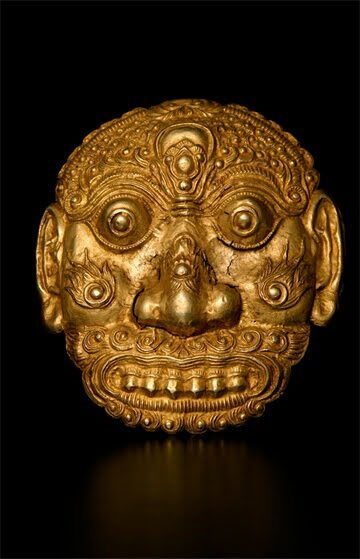 The price of the yellow metal is up 28% YTD, driven in large measure by strong demand in Asia and the dim economic outlook in the west. Gold miners are reporting good third-quarter bottom lines. In this ointment, however, there is a fly: gold stock performance, which has massively lagged the underlying commodity price surge over the year. 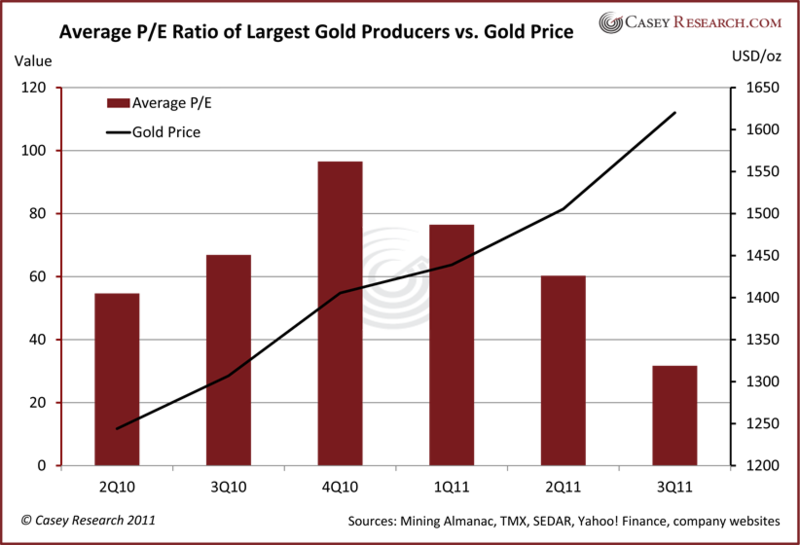 This has been ongoing for months, now bringing us to the point where gold mining stocks look notably undervalued. Technically, we might say, they look dirt cheap. 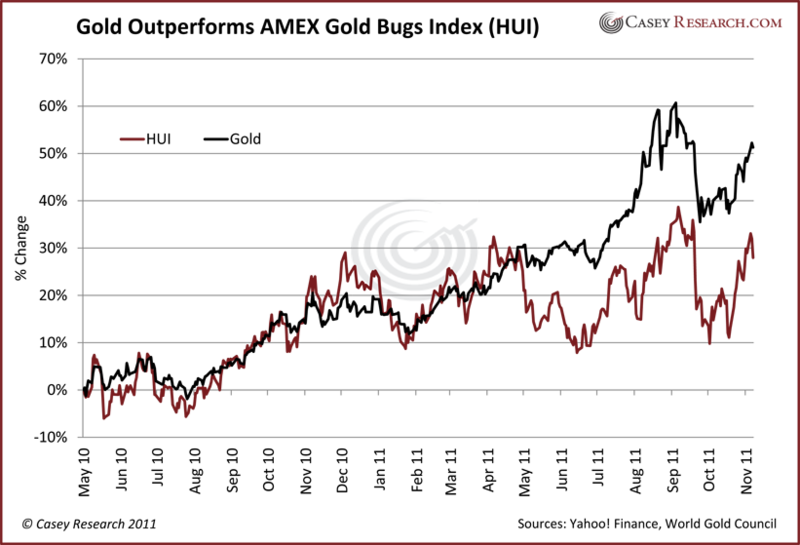 Even Doug Casey, who's a serious bottom feeder, is admitting that compared to the metal itself, gold stocks are looking cheap again. The average price/earnings ratio in the industry – a valuation ratio of a company's current share price compared to its per-share earnings (quarterly figures are used here) – is going down while the price of gold is increasing. This situation has persisted for several quarters; and now gold stocks look cheap on a P/E basis. This big divergence between companies' earnings and the underlying commodity price won't last: Either gold will retreat or P/Es will catch up, or both. Since the fundamental trends driving gold upward are still very strong, the second scenario looks more probable, raising the prospect of a huge rally of mining stocks somewhere in the short- to mid-term. Comparing changes in the AMEX Gold Bugs Index against gold leads to a similar conclusion: in the second half of 2011, gold stocks have been lagging. See the chart below. If they are on sale, why aren't we seeing a rush into these equities?